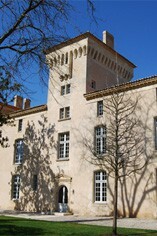 Château Lafaurie-Peyraguey is a property with a long history and a château that dates back to the 13th century. This 1er Cru Classé property had a very high reputation during the 19th century and was rated third behind La Tour Blanche and d`Yquem in the 1855 classification. Lafaurie-Peyraguey is located in the commune of Bommes and its 40 hectares of vineyards are planted with 90% Sémillon, 5% Sauvignon Blanc and 5% Muscadelle. Lafaurie-Peyraguey was bought by the Cordier family in 1917 and produced rather monolithic and bland wines until the late 1970s when Michel Laporet was appointed as administrator. He severely restricted the yields, introduced more rigorous selection procedures at harvest time and initiated fermentation and maturation in oak casks. 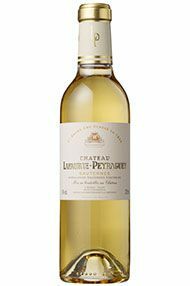 Lafaurie-Peyraguey is now unquestionably one of the top half-dozen estates in Sauternes. It is now no longer owned by the Cordier family but has passed into the hands of the Société Foncier des Domaines Cordier, which also owns Château Meyney in St-Estèphe and Clos des Jacobins in St-Emilion.